Aren't those words just… frustrating! Isn't that jumble of letters and numbers even more frustrating? Yep, Netflix has made an attempt to crack down on people using a VPN or Proxy service to sneak into their global content library. The good news is, the fix for the Netflix proxy error is pretty simple. [00:00:03] So it's no secret that Netflix cracked down on the use of a VPN or Netflix proxy server to get access to international content probably more than a year ago now. But that doesn't mean that you can't get access, it just means they've made it a little bit tougher than it used to be. So I'm going to give you a quick example. I'm in Australia and I want access some U.S. content, so I am on this site here, FlixList, which lists all these different titles and whereabouts in the world they're available. So here I am looking at ‘The Motorbike Show' and you can see that it's available in the USA. So if I jump across to Netflix and jump in to Netflix here. [00:00:46] And we search for The Motor Bike. [00:00:54] You can see that this title is not showing because I'm getting the Australian library and ‘The Motorbike Show' is not part of that library. [00:01:01] So what I do is log out of Netflix and I will jump in to Express VPN. Now Express VPN are actively trying to circumvent the blocks Netflix put in place on VPN so they are a good VPN to use if you want to access Netflix content. So you just connect to a U.S. based server. Once that's done we'll sign back into Netflix and we'll see if we can access ‘The Motorbike Show'. So you can see the VPN has now connected. I've jumped back across to Netflix. [00:02:01] You can see now the title is available. 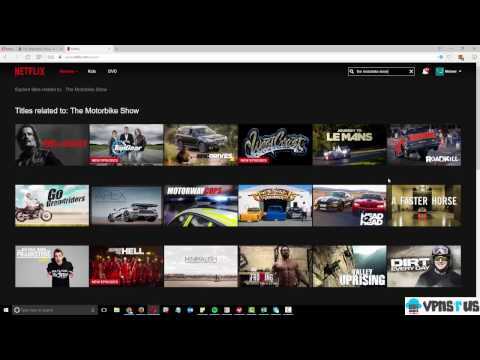 [00:02:05] So we have access to US Netflix now. So yes Netflix have put in stops to try and prevent people from accessing their geo-blocked content. But as you can see here, I can see ‘The Motorbike Show' from Australia when it is only available in the US. So if you use a good VPN like Express VPN it's happy days. Back in early 2016, after much huffing and puffing and threatening to do so, Netflix did start to crack down on the use of VPN and proxy services to bypass their geo-restrictions and watch Netflix from all over the world. Words nobody wants to see when they're trying to access Netflix and catch the latest James Bond movie right? Luckily you can get past the Netflix VPN block with a little bit of effort. Getting past the block is possible. In fact, it's not even that difficult to say sayonara to error code: m7111-1331-5059. At the core of the issue is making sure you are using a VPN that is actively putting effort into bypassing the Netflix efforts to squash VPN use. Yep, it's a massive game of cat and mouse. Certain services (for example Private Internet Access) have simply waved the white flag and given up supporting people who want to access geo-restricted Netflix content. As such, you'll need to choose a service that works with Netflix. We have listed some below. Sign up for a VPN service. 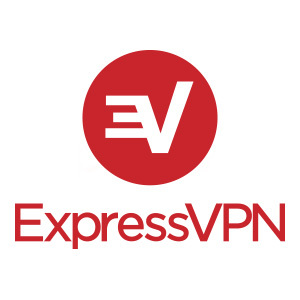 In our example video, we use ExpressVPN as they have are the best VPN option. They have the best success bypassing the Netflix proxy block. 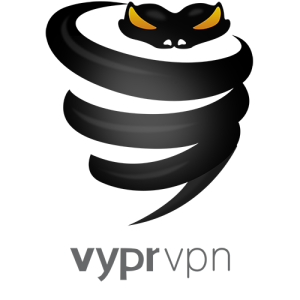 Or, check out our VPN reviews for other options. Launch the application and sign in with the credentials provided when you signed up. So How Does Netflix Know I'm Using A VPN? Netflix proxy detected… arrrrrrrgh! How do they do it? Well essentially, they have teams of people sniffing out the servers and IP addresses the VPN companies are using. When you connect to the VPN it makes your connecting look as if it's from that server/IP. Then, all Netflix have to do is block any requests that are coming from that server, and show them the annoying black screen above. Which VPN services are working with Netflix? Which VPN services are not working with Netflix? We can't be certain, however, with every VPN service and DNS redirection service we review, we test it out with Netflix. Here are the services not currently working based on our testing. If you're with one of these guys they're not the best VPN to access Netflix, and we recommend using ExpressVPN or one of the others covered above. The full list is likely much more comprehensive than this. We have even heard reports of Netflix cracking down on people who are setting up their own private VPN services using cloud infrastructure on services like Amazon AWS. Unfortunately, it does require significant effort and investment by the VPN provider to bypass the Netflix efforts to block them. This typically means the more premium services are the ones with the resources to do so. Netflix throws up all sorts of letters and numbers when they detect you're using a proxy service. How Does Netflix Block Proxy & VPN Users? There are a few main methods Netflix use to block proxy services. The main one is to block the IP address ranges of well-known proxy and VPN providers. This means these services have to go to the expense of cycling their IP addresses to stay one step ahead of Netflix. Many providers have simply opted out from this. Another potential method they can use is to restrict users to content available in their billing country, however, we're not seeing any evidence of this so far. Are you receiving the “You seem to be using an unblocker or proxy.” error message even though you're not using one? Turning your modem or router on and off. This old chestnut is usually the first port of call. Now if all of the above doesn't work and still Netflix says I'm using a proxy, there is a chance your IP has been swept up in the Netflix proxy block. If this is the case, and if your connection uses a static IP address, you'll need to get in touch with your ISP and have your IP address recycled. Unfortunately, bypassing Netflix VPN block isn't easy, and if for some reason your IP address is fried it is best to get a new one. Is there a Netflix unblocker? Isn't there just some sort of Netflix unblocker I can use? Surely there is an easy to use Netflix proxy workaround. Unfortunately, not really. There's no software you can download that will magically unblock Netflix as such. There will always be a degree of technical capability on your part to deal with the Netflix proxy problem. You'll need to plug away with VPN services and the configuration and settings that go with it. The pay off is totally worth it though – a huge library of content for your viewing pleasure. And of course, if you are interested in other ways of consuming content you could always check out the best torrent sites of 2018 as another option.